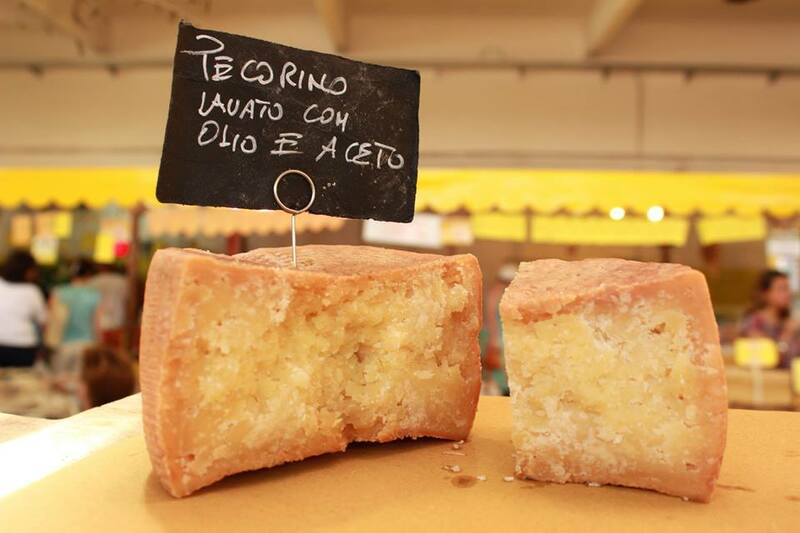 Pecorino Romano, is a salty Italian cheese made from sheep’s milk. According to tradition this cheese would be used as rations for the legionaries because of its long shelf-life and its high nutritional value. 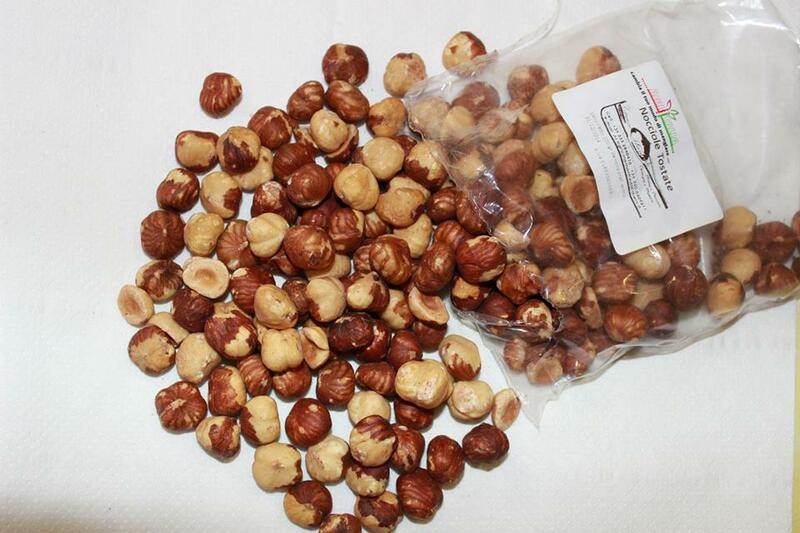 Nocciola Romana, are Roman hazelnuts that are known for their wonderful aroma and flavor. The crispiness of this nut is highly enjoyed when bitten into. These hazelnuts could be enjoyed with various recipies or one can simply snack on them. 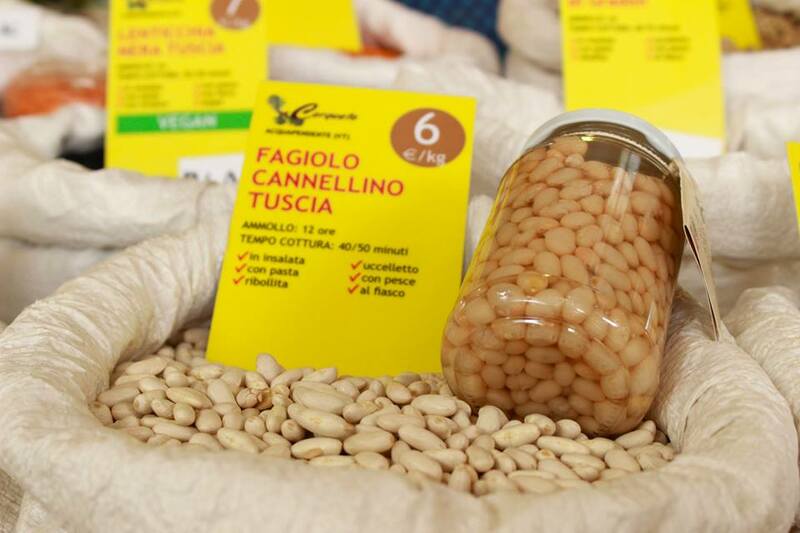 Fagiolo Cannellino di Atina, are kidney shaped beans from Atina. These beans do not need to be soaked and requires a cooking time of 40-55minutes in boiling water. 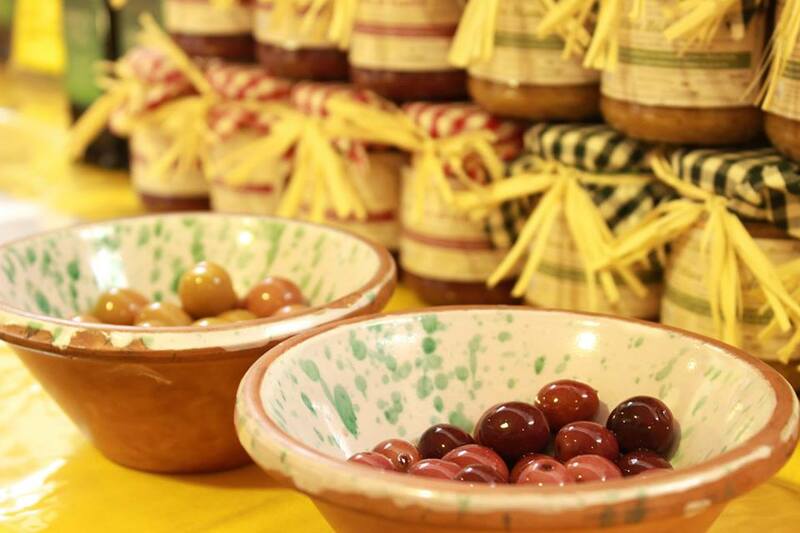 Olio di Oliva della Sabina, these olives are used for the production of extra virgin olive oil. The olive tree, located in Sabina, has been cultivated for thousands and the olive groves are still owned by local families. Fior di latte Appennino Meridionale, this soft cheese is made from whole milk of cows. The taste is fresh, distinctive and delicately sour. Pane Casareccio di Genzano, is a homemade bread from the town of Genzano. The dough is processed and cooked in special wood buring ovens called “soccie”. Since ancient times, it was the task of the women who lived in the villages to prepare and bring the bread to bake in public facilities. The women stamped their loafs to distinguish them from those of other women. This delicious bread is soft and spongy with holes or cavities througout the inside of the loaf. Kiwi di Latina, is a tasty kiwi that could be consumed naturally, peeled and cut or as a component for tasty salads. Kiwi is also widely used for jams, syrups and liqueurs. The nutrients of the kiwi fruit are extrememly interesting: Kiwi contains vitamin C and is rich in vitamins E and B7. It also contains minerals such as potassium, magnesium, antiseptics copper and iron. In addition, kiwi is an excellent antioxidant and contains both pectin, a fiber that reduces cholestrol and arginine, whose presence has led some to define the kiwi as a “natural Viagra”. Carciofo Romanesco del Lazio, is a delicious artichoke present in the markets of Italy and throughout Europe. The artichoke should be consumed just purchased. You can keep it in the fridge for a few days. This vegetable can be enjoyed in several ways: the Roman, the Jewish-style, Sicilian fried. When they are young and tender, however, it is advisable to eat them raw, sliced, seasoned with olive oil, lemon and some mint leaves, perhaps in combination with shavings of Parmigiano Reggiano. Pride of the tradition of Lazio, the local cuisine prefers the “Roman”, slow cooked and seasoned with bread crumbs, garlic, parsley, pepper and oil. The Artichoke Romanesco, then, being large and characterized by little waste, is ideal to be prepared stuffed with meat or bread. Abbacchio Romano, is delicious lamb, male or female, born and bred in the wild and semi-wild, Sarda, Comisana, Sopravissana Massese Merinizzata Italy and their crosses. This savory meat is known for its low level of fat. Lamb is light pink, has a fine texture and is delicately flavored with herbs.